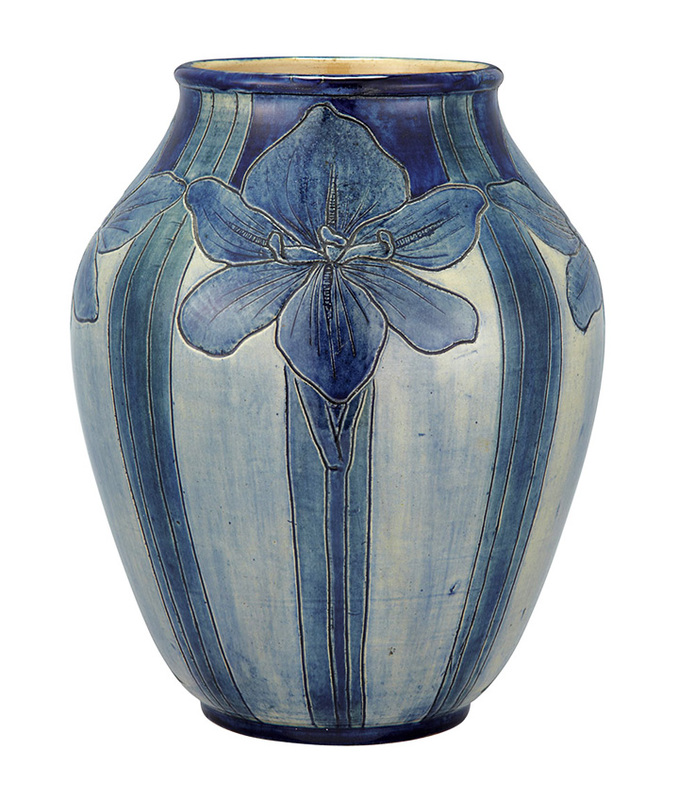 Doyle New York held a Belle Epoque sale on February 6, 2013, with generally excellent results. Total sales of $2,036,819 surpassed the pre-sale high estimate of $1,870,750, with 84% sold by lot and 93% sold by value. 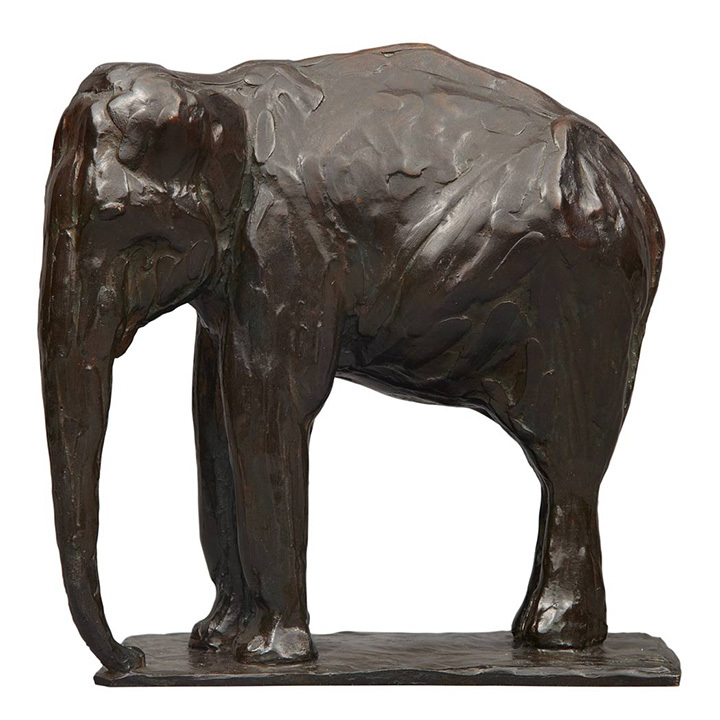 Top lot of the sale was a Rembrandt Bugatti bronze cire perdue sculpture entitled Petit Elephant au Repos. It soared past its pre-sale estimate of $40,000 – $60,000, to sell for $218,500, including buyer’s premium. The bronze was fresh to the market, having descended in the Vanderbilt family. The result surely benefitted from its illustrious provenance. 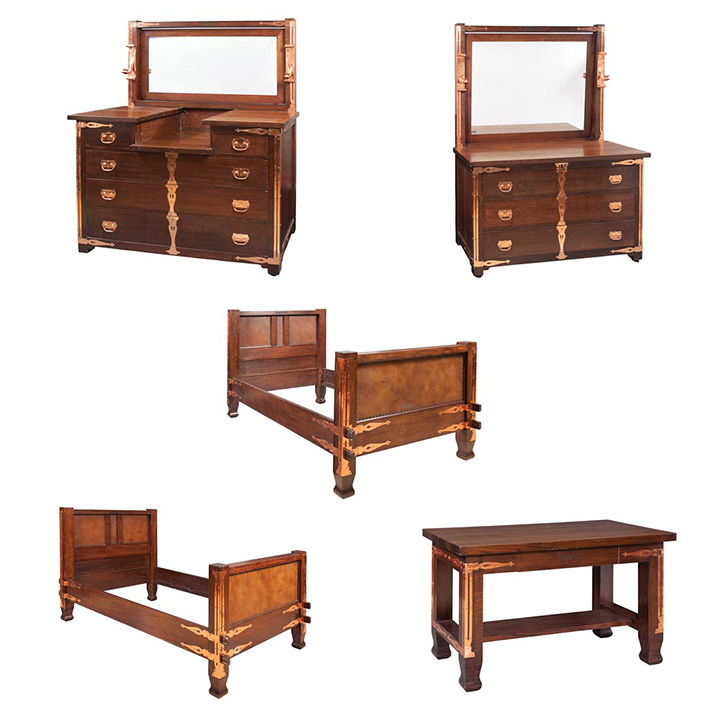 A Roycroft Arts and Crafts copper-mounted oak bedroom suite, from the estate of C.W. and Marjorie Merriweather Post, sold for $68,500, approximately double the high estimate of $30,000. The suite was an important commission by Elbert Hubbard for C.W. Post, whom he knew personally. 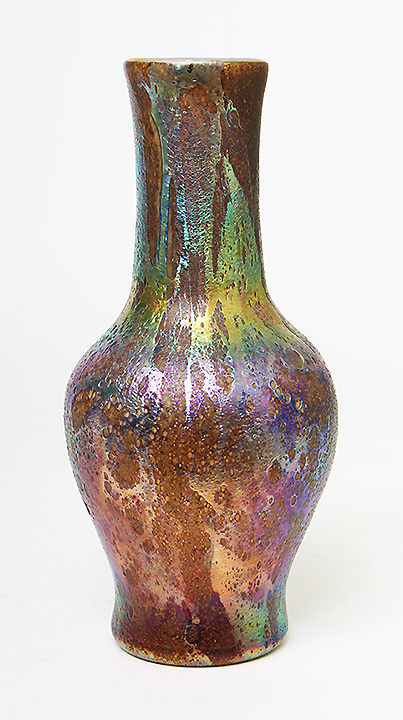 A huge (11¾”), early (1902), high-glaze Newcomb College vase shot past its pre-sale estimate of $5,000 – $7,000, to achieve $37,500, including buyer’s premium. It was consigned from The Spanierman Gallery, LLC Collection of American Art. For the complete results of the sale, click on the following link. Doyle Belle Epoque results. The Palm Springs Modernism Show opens to the public this Saturday, February 16th, at 10 AM and ends on Monday at 4 PM. It will be our first time at the show. We haven’t had good luck in California in recent years, so we’re hoping the show will be good. If it isn’t, we’ll give up the entire state. That would be a shame, but we can’t afford to exhibit at shows where the buyers don’t show up. If you’d like us to continue to exhibit in the state of California, please visit the show and consider making a purchase.